Houda was born in Lebanon and was diagnosed with lupus when she was only nineteen years old. She never ‘suffered’ with the disease. Instead, she probably lived life more fully because of it. She loved to travel and would always make the most of the moment she was in. We never even knew she was ill as I remember she wouldn’t come and swim with us by the beach in the sun because she was on cortisone. But she would always say the sea is nicer at sunset when she headed down in the early evening. She moved to London when she got married to Stuart in 1987. She was referred to the Haematology Practice under Professor Marie Scully at UCLH. She appreciated the commitment and professionalism of the team and was extremely convinced by the NHS model of care. So after a few years, she decided she wanted to give back to the system that was supporting her so well. She started volunteering as part of the research team, one day a week. She transferred her positive nature and love of life to her work, and would actively look forward to her Thursdays at UCLH. Sadly Houda passed away on 5th February 2018. She has left a void in the lives of all those who knew her and loved her. But she has also left a legacy of giving back and loving life that will remain with her colleagues, family and friends. Houda joined me at UCLH in 2006. She was retired and wanted to help, having an excellent understanding of IT systems and data management. I needed help as I was working on my own running a number of projects. What developed over more than 10 years was a beautiful friendship. Houda was instrumental to so much of what has developed within UK TTP. As the UCLH team has grown, Houda embraced and loved them all. And that was reciprocated. We all held Houda with the highest esteem, love and friendship. Over the last few years, Houda organised the medical and patient meetings and annual fundraising sponsored walk, the London Bridgethon. Outside of UCLH she became integral to the patient support group, TTP network, working closely with Jo and Saida. Houda was a warm, elegant, loving lady who was a friend and beautiful person. There are two events in writing this (from many hundreds) that I keep thinking about. One funny, and one sad. 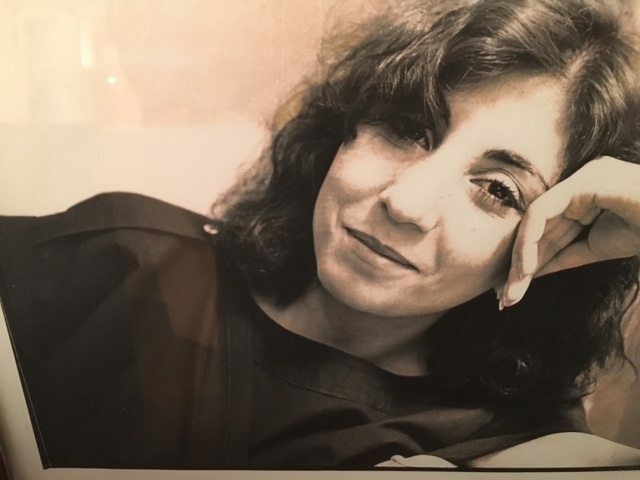 Houda and I were always in contact but every Mother’s Day we always shared a message with each other and this year I really missed that very much. The second event that still makes me laugh was from the bridgethon in Sept 2017 when coming back to Houda and the team after the walk, they had in the meantime gone to the shops and were drinking wine ‘to keep warm’. The tent had become pink and fluffy with decorations. Everyone was laughing. She was part of and central to our team and we miss her terribly. Thank you for everything you have done for TTP Houda and thank you for being such a precious friend. We are incredibly sad at the loss of our friend, supporter and advisor Houda Webster. She gave us immense help with the TTP Network, did all the updates on the previous website and was our voice of reason many times, but most importantly she was our friend, our advocate and a truly amazing person. Houda we miss you so much. Rest in peace.